Trine 3: Artefacts of Power: A Whole New Dimension. The Trine series has captured many people’s attention over the years, mostly thanks to the incredibly inventive physics based game play. It’s been a long time between drinks for the series what with the previous installment, Trine 2, being released almost 4 years ago. This can be partly attributed to Frozenbyte focusing some of its efforts on their iOS platform Splot, however most of the long development time has been spent on Trine 3 itself. Indeed when you hear that Trine 3 incorporates 3D into the mix, after the last 2 being 2D platformers, you can get a feel for why it stayed in development for so long. However Frozenbyte’s ambition may have been its undoing as it’s clear that Trine 3 fell short of its ultimate goal. Once again our heroes: Amadeus, Pontius and Zoya, are trying to live their lives as they were before the Trine started interfering with them. Amadeus was finally spending time with his family, taking them to see the giant turtle migration. Pontius continued to be a hero of the people, ensuring that no thief or neerdowell went unpunished. Zoya continued her quest for treasure, tracking down a giant emerald. However, just like always, the Trine showed up at the most inopportune time to whisk them away on an adventure. Little did they know that this one would take them to the heart of the Trine itself and the darkness which lied within. Trine 3 makes use of Frozenbyte’s own custom engine and, whilst I’d warn most indie developers about doing that, what they’ve managed to create is, put simply, absolutely stunning. Trine 2 managed to have some great vistas however, due to the 2D nature, they were always somewhere off in the background. With the inclusion of 3D in Trine 3, and the addition of the vastly improved artwork, Trine 3 is yet again another step up from its predecessor. The art style and direction is retained, with vibrant colours and effects everywhere, along with the great soundtrack and voice acting. Indeed Trine 3 feels like a AAA title in almost all respects as there are few indies who can produce such quality work. The core of Trine remains largely the same with the platforming, puzzle solving and emergent, physics based game play all making an appearance. The abilities of the three heroes are largely the same as well although the game has been radically simplified when compared to its predecessors. Amadeus can summon just one box, Pontious’ abilities have been reduced to a charge and slam and Zoya’s arrows are merely garden variety now, although she can now attach things together through the use of her grappling hook. The talent system is completely gone and progression now comes in the form of collecting shiny triangles which you’ll use to unlock further story and side missions. All in all Trine 3 feels like a far more streamlined game, one that would be far more welcoming to newcomers to the series. The introduction of 3D changes the core platforming and puzzle mechanics significantly as now you have a whole extra dimension to contend to when attempting to solve the puzzles. It’s not true full 3D in all aspects however as it seems, for simplicity’s sake, that there are some constraints on your movement. If you jump off a wall in one direction you’ll essentially be locked to moving in that direction. For things parts of the environment that spin or move this can lead to some unpredictable behaviour as mistiming your jump means you move in a completely different direction to the one you intended. The same rules seem to apply to using the grappling hook as well, locking you into one direction to swing across (I.E. you can’t say, swing around in a loop). I’m sure I’m not explaining this well enough but once you play Trine 3 you’ll see what I’m getting at. Combat feels largely the same, being one of the few times that you’ll use Pontius for something. You’ll be able to complete most combat sections by just mashing buttons and jumping around randomly however some of the later fights do require a bit more finesse. The only really challenging combat encounters are the boss fights (of which there are 2 from memory) and the various side quests which lock you into a single character requiring you to figure out how to best use them in combat. For long time fans of the series this will feel largely in step with previous games in the series as combat was always something of an also-ran, a curious distraction to break up the platforming and puzzle solving. The emergent gameplay is as rampant as ever with most puzzles having numerous unintended solutions. Most of these are born out of their basis on physics, allowing you to exploit various things in order to make the puzzle think it’s solved. One of the most egregious things you can exploit is, yet again, the wizard’s ability to move boxes and other objects around. Whilst you can’t box surf like you once could you can, say, jump off a box and then lift it up with blazing speed, launching you far above whatever obstacle was in front of you. It’s certainly not as crazy as previous Trine games were but you can still pull off some rather crazy feats if you put your mind to it. Emergent gameplay does have a dark side however, coming in the form of glitches and unintended behaviour. You’ll more than likely come across your fair share of glitchy enemies, puzzles that don’t work for whatever reason or deaths that don’t feel like they’re entirely your fault. There’s nothing in there that I’d consider game breaking, indeed most of the time you can work your way around whatever glitch you’re stuck on, however it does mean that some of the puzzles are far more frustrating than they need to be. Some of the glitches are hilarious too, like when enemies clip through the floor and then rocket back out. I guess when you think in terms of the overall Trine series Trine 3 is the least glitchy of the lot, which is saying something. The story is where Trine 3 falls down, not for the content mostly, that at the very least retains it’s mostly passable qualities, the real issue comes with its length. You see Trine 3 was Frozenbyte’s most ambitious game getting triple the budget of its predecessor. Whilst this is most certainly reflected in the quality of the game it still wasn’t enough for them to finish the game in the way they wanted to. Thus the game ends at what feels like the first third of the story, leaving you on a cliffhanger that feels like it should’ve been somewhere in the middle of the game rather than at the end of it. This is what has led to much frustration from the wider gamer community, something which Frozenbyte has acknowledged and provided some insight on. In my mind the quality of the game they’ve created isn’t in question however it’s obvious that Trine 3 has fallen far short of their vision. Trine 3 is an absolutely stunning game, one that keeps true to the Trine roots but unfortunately fell prey to the sin of ambition. The artwork, soundtrack and cinematography are still top notch, showcasing production values that I’ve come to expect from the series. The core mechanics and gameplay are still there, just streamlined a bit in order to reduce friction. However the game is clearly only a third of the creator’s original vision, with numerous levels and story left undeveloped, never to be explored by us gamers. It’s really quite unfortunate as parts of Trine 3 we’ve got are just incredible but that quality has obviously come at a cost. Hopefully this isn’t the death of the series as it would be a real shame to see it go just as Frozenbyte was reaching its peak. Trine 3 is available on PC right now for $21.99. Total playtime was 4 hours with 64% of the achievements unlocked. 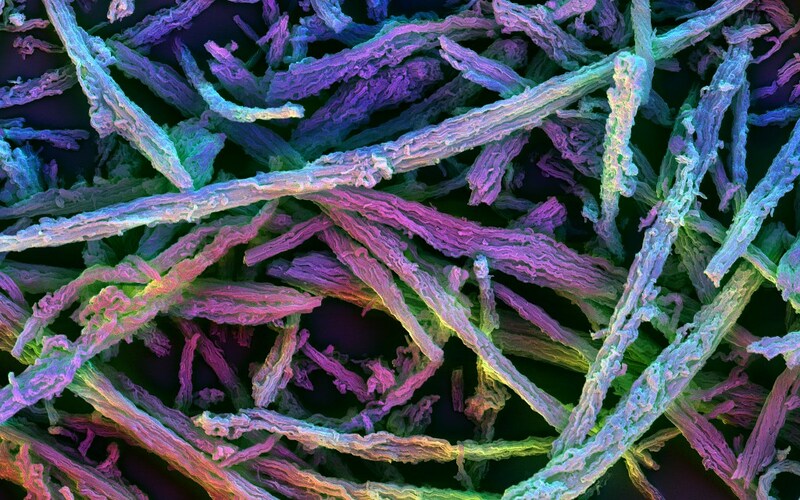 3D Vaccines Pave the Way for Supercharged Immune Systems. Vaccines are responsible for preventing millions upon millions of deaths each year through the immunity they grant us to otherwise life threatening diseases. Their efficacy and safety is undisputed (at least from a scientific perspective anyway, which is the only way that matters honestly) and this mostly comes from the fact that they use our own immune system as the mechanism of action. A typical vaccine uses part of the virus to trigger the immune system to produce the right antibodies without having to endure the potentially deadly symptoms that the virus can cause. This response is powerful enough to provide immunity from those diseases and so researchers have long looked for ways of harnessing the body’s natural defenses against other, more troubling conditions and a recent development could see vaccines used to treat a whole host of things that you wouldn’t think would be possible. Conditions that are currently considered terminal, like cancer, often stem from the body lacking the ability to mount a defensive response. For cancer this is because the cells themselves look the same as normal healthy cells, despite their nature to reproduce in an uncontrolled fashion, which means that the immune system ignores them. These cells do have signatures that we can detect however and we can actually program people’s immune systems to register those cells as foreign, triggering an immune response. However this treatment (which relies on extracting the patient’s white blood cells, turning them into dendritic cells and programming them with the tumour’s antigens) is expensive and of limited on-going effectiveness. However the new treatment devised by researchers at the National Institute of Biomedical Imaging and Bioengineering uses a novel method which drastically increases this treatment’s effectiveness and duration. The vaccine they’ve created uses 3D nano structures which, when injected into a patient, form a sort of microscopic haystack (pictured above). These structures can be loaded with all sorts of compounds however in this particular experiment they loaded them with the antigens found on a specific type of cancer cells. Once these rods have been injected they then capture within them the dendritic cells that are responsible for triggering an immune response. The dendritic cells are then programmed with the cancer antigens and, when released, trigger a body wide immune response. The treatment was highly effective in a mouse model with a 90% survival rate for animals who would have otherwise died at 25 days. The potential for this is quite staggering as it provides us another avenue to elicit an immune response, one that appears to be far less invasive and more effective than current alternatives provide. Of course such treatments are still like years away from seeing clinical trials but with such promising results in the mouse model I’m sure it will happen eventually. What will be interesting to see is if this method of delivery can be used to deliver traditional vaccines as well, potentially paving the way for more vaccines to be administered in a single dose. I know that it seems like every other week we come up with another cure for cancer but this one seems to have some real promise behind it and I can’t wait to see how it performs in us humans. Samsung Starts Producing V-NAND, Massive SSDs Not Far Off. I’ve been in the market for a new PC for a little while now so occasionally I’ll indulge myself in a little hypothetical system building so I can figure out how much I want to spend (lots) and what kind of computer I’ll get out of it (a super fast one). One of the points that got me unstuck was the fact that whilst I can get semi-decent performance out of my RAID10 set which stores most of my stuff it’s no where near the performance of my SSD that holds the OS and my regularly used applications. Easy, I thought, I’ll just RAID together some SSDs and get the performance I want with enough space to hold all my games and other miscellany. Thing is though SSDs don’t like to be in RAID sets (thanks to TRIM not working with it) unless its RAID0 and I’m not terribly keen on halving the MTBF just so I can get some additional space. No what I need is a bigger drive and it looks like Samsung is ready to deliver on that. That little chip is the key to realizing bigger SSDs (among other things). It’s a new type of flash memory called V-NAND based on a new gate technology called CTF and Samsung has just started mass production of them. What’s really quite groovy about this new kind of NAND chip is that unlike all other computer chips which are planar in nature, I.E. all the transistors lie on a single plane, V-NAND (as you can likely guess) is actually a vertical stack of planar chips. This allows for incredible densities inside a single chip with this first generation clocking in at a whopping 128GB. Putting that in perspective the drive that I’m currently using has the same capacity as that single chip which means that if I replaced its memory with this new V-NAND I’d be looking at a 1TB drive. For tech heads like me even hearing that it was theoretically possible to do something like that would make us weak at the knees but these are chips that you can start buying today. 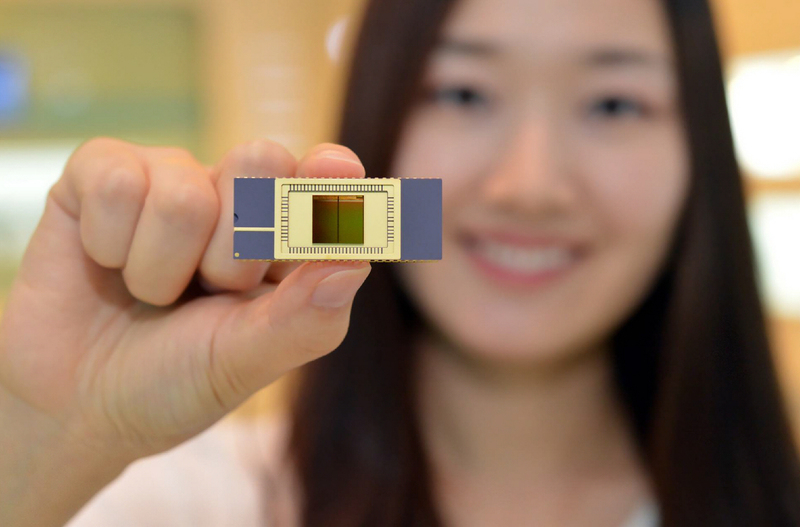 Apparently this isn’t their most dense chip either as their new 3D NAND tech allows them to go up to 24 layers high. I can’t seem to find a reference that states just how many layers are in this current chip so I’m not sure how dense we’re talking here but it seems like this will be the first chip among many and I doubt they’ll stop at 24. As if all that wasn’t enough Samsung is also touting higher reliability, from anywhere between 2x to 10x, as well as at least double the write performance of traditional NAND packages. All SSDs are at the point where the differences in write/read speeds are almost invisible to the end user so that may be moot for many but for system builders it’s an amazing leap forward. Considering we can already get some pretty amazing IOPS from the SSDs available today doubling that just means we can do a whole lot more with a whole lot less hardware and that’s always a good thing. Whether those claims hold up in the real world will have to be seen however but there’s a pretty close relationship between data density and increased throughput. Unfortunately whilst these chips are hitting mass production today I couldn’t find any hint of which partners are creating drives based around them or if Samsung was working on one themselves. They’ve been releasing some pretty decent SSDs recently, indeed they were the ones I was eyeing off for my next potential system, so I can’t imagine they’d be too far off given that they have all the expertise to create one. Indeed they just recently released the gigantic 1.6TB SSD that uses the new PCIe interface NVMe to deliver some pretty impressive speeds so I wouldn’t be surprised if their next drive comes out on that platform using this new V-NAND. It’s developments like this that are a testament to the fact that Moore’s Law will keep on keeping on long despite the numerous doubters ringing its death bell. With this kind of technology in mind its easy to imagine it being applied elsewhere, increasing density in other areas like CPU dies and volatile memory. Of course porting such technology is non-trivial but I’d hazard a guess that all the chip manufacturers worldwide are chomping at the bit to get in on this and I’m sure Samsung will be more than happy to license the patents to them. 3D Doesn’t Make Sense as a Consumer Technology. 3D is one of those technologies that I’m both endlessly infatuated and frustrated with. Just over a year ago I saw Avatar in 3D and for me it was the first movie ever to use the technology in a way that wasn’t gimmicky but served as a tool to enable creative expression. Cameron’s work on getting the technology to the point where he could use it as such was something to be commended but what unfortunately followed was a long stream of movies jumping on the 3D bandwagon, hoping that it would be their ticket to Avatar like success. Since then I’ve only bothered to see one other movie in 3D (Tron: Legacy) as not one other movie demonstrated their use of 3D as anything other than following the fad and utterly failing to understand the art that is 3D. Last year was the debut of consumer level 3D devices with the initial forays being the usual TVs and 3D enabled media players. Soon afterwards we began to see the introduction of some 3D capable cameras allowing the home user to create their very own 3D movies. Industry support for the format was way ahead of the curve with media sharing sites like YouTube allowing users to view 3D clips and video editing software supporting the format long before it hit the consumer level. We even had Nintendo announce that their next generation portable would be called the 3DS and boast a glasses free 3D screen at the top. Truly 3D had hit the mainstream as anyone and everyone jumped to get in on the latest technology craze. Indeed the 3D trend has become so pervasive that even today as I strolled through some of my RSS reader backlog I came across not one, but two articles relating to upcoming 3D products. The first is set to be the world’s first 3D smartphone, the LG Optimus 3D. It boasts both a 3D capable camera and glasses free 3D screen along with the usual smartphone specs we’ve come to expect from high end Android devices. The second was that NVIDIA’s current roadmap shows that they’re planning to develop part of their Tegra line (for tablets) with built in 3D technology. Looking over all these products I can’t help but feel that there’s really little point to having 3D on consumer devices, especially portable ones like smartphones. 3D in cinemas makes quite a lot of sense, it’s another tool in the director’s kit to express themselves when creating their movie experience. On a handset or tablet you’re not really there to be immersed in something, you’re usually consuming small bits of information for short periods. Adding 3D into that experience really doesn’t enhance the experience at all, in fact I’d dare say that it would detract from it thanks to the depth of field placing objects in a virtual space that in reality is behind the hand that’s holding it. There is the possibility that 3D will enable a new kind of user interface that’s far more intuitive to the regular user than what’s currently available but I fail to see how the addition of depth of field to a hand held device will manage to accomplish that. I could just be romanticising 3D technology as something best left to the creative types but if the current fad is anything to go by 3D is unfortunately more often misused as a cheap play to bilk consumers for a “better” experience. Sure some of the technology improvements of the recent past can trace their roots back to 3D (hello cheap 120Hz LCD screens) but for the most part 3D is just used as an excuse to charge more for the same experience. I’ve yet to see any convincing figures on how 3D products are doing out in the market but anecdotally it’s failed to gain traction amongst those who I know. Who knows maybe the LG Optimus 3D will turn out to be something really groovy but as far as I can tell now it’s simply yet another gimmick phone that’s attempting to cash in on the current industry obsession with 3D, just like every other 3D consumer product out there. Movie Stars and Dirty Laundry. There was only a dim glow peeking through the curtains but it was lacking that distinct orange tint to it that I’d grown to expect. Throwing them back revealed a threatening looking sky with the overcast clouds merging into the smog in an eerily smooth gradient. It seems that the cross country flight had done some magic on our body clocks and we were up early again giving us some time to plan for the day ahead. We’d planned to go to Universal Studios today and decided to stick with that plan even with the foreboding weather. I also made a quick check to make sure that the server had come good after Danne kicked it over for me, thankful that it came around. I uploaded the 3 posts I had sitting in my queue before heading off, taking our laundry with us so we could get it done on the way home. Dialling in the address into the GPS we drove the 10 miles to North Hollywood arriving into a strangely quiet strip of shops. We started walking around looking for somewhere to have breakfast and found a decent cafe about halfway down. The weather had was holding up and without my Internet connection on my phone working (again!) we decided to just go ahead and go into the park, figuring that it would could still visit most of the park even if it was pouring with rain. There were a few people at the entrance to Universal Studios but it still felt almost deserted. It is the off season but that didn’t seem to have a damper on the numbers when we were at Dinseyland so we figured we had just gotten lucky. We made our way through one of the exhibits in the top lot before taking the multiple escalators to the bottom lot which was even more deserted than the top. That worked in our favour though with virtually no line for all the rides down there, letting us zip through the entire section in about half an hour. The rides were pretty good with their scale being extremely impressive. I can’t remember the last time I rode a rollercoaster that was entirely indoors (I think it might’ve been space mountain in Disneyworld in Tokyo where I hit my hand on a low flying pole). After that we headed back up to the top lot to see some of the other shows they had going on. There were no less than 3 3D movies with all sorts of various augmentations. The most extravagant one was the Terminator with oodles of pyrotechnics and a cast of 3 people jumping in and out of various places all over the place. There were also a couple live shows that we saw the best of which was the Waterworld one. Now I’ll be honest here I was only going to go to it initially because there was a fated summer holiday where my brother and I watched that movie nearly every day. However the show itself was quite amazing with a smattering of watercraft, acrobatics and explosions all over the place. After we got out our last show at around 4:30pm everything was winding down so we headed out to find ourselves some early dinner before heading out to see a movie. We found this amazing little Japanese place just up from where we had had lunch earlier. I ordered the tonkatsu with a Japanese beer I had never seen before: Echigo. We had just less than an hour so I was glad when our meal was served quickly and even happier still when it was quite good, especially for the price. Satisfied with our meal we went to see our movie for the night, Harry Potter and the Deathly Hollows Part 1. 2 and a half hours later we emerged from the movie, both happy with the experience. I’d recommend the movie to anyone who’s enjoyed the previous releases in this particular series, I won’t comment on those who’ve read the books however (I haven’t). Afterwards I found us a coin operated laundry not too far from we were so we headed over there to get ourselves some clean clothes to wear. After loading up the machine we sat down to watch what they had on the TVs around the place, mostly bad reality TV shows and overdone mexican dramas. About an hour later we were done and out of there, driving back through the rain that had finally started to come down. We got back to the hotel safely and flopped down on our bed, weary from the long day we had had. I’m not sure what we’ll be doing tomorrow but it will either be a visit to Legoland or back to Disneyland but really I could easily spend a day off my feet to let them rest. I don’t think I’ve walked less than 8KMs per day over the past 2 weeks. 3D Cinematography is Still an Art. I can still remember my first 3D experience in a cinema, it was almost a decade ago now when I was in Tokyo Disneyland. My then only recently acquainted friend and I were in deep teenage angst about our current predicament having exhausted most of fun out of the place in a few hours, with our stay not scheduled to end any time soon. Having heard about this 3D show called Honey, I Shrunk the Audience! (don’t judge me) I dragged him along to try and past at least some of the time we had remaining. The show itself was quite a spectacle with the floor being able to move around and many other real world effects to augment the 3D. The actual movie itself was pretty dull and the 3D effect, whilst impressive at the time, really didn’t do a lot for the movie. My memory may have been sullied by the fact I wasn’t feeling too good that day but it was several years before I went out of my way to encounter 3D again. My mind was changed when I saw James Cameron’s Avatar. Whilst I had troubles with the gear at the cinema it still didn’t detract from the experience. There were a few obvious “we’re doing this to remind the audience that they’re watching 3D” but for the most part the effect enhanced the story and greatly increased the immersion I felt. After seeing the movie I became somewhat obsessed with the technology behind such a feat, researching the different methods and finding out just how such a movie was made. I went as far to say that our next TV purchased had to be 3D, because really anyone serious about cinema would have to have it. I think I underestimated just how wrong the world could get 3D. Just like the initial buzz that surrounded 3D movies that came out almost a decade ago nearly every recent major theatrical release has had the option of being viewed in 3D. Worse even are some films that have restarted filming just to start using 3D, wasting months of effort. I can kind of understand when it’s a completely CGI film and the 3D option is just another day or two of rendering time (well, probably more than that) although the effect is debatable as most 3D films tend to have a flat focus. The fact is that whilst 3D has been around for a while filming for it is still in the realms of “black art” and very few have mastered the technique. Cameron managed to do quite well in Avatar as his dedication to bringing 3D into the mainstream had given him extensive experience in using the technology. Two of his mostly unknown documentaries were shot using 3D many years before Avatar graced the silver screen. Many of the directors who are now scrambling to use 3D for their movies have no such experience and as such the results have been quite underwhelming. The fact is that since regular cinema has been around for well over a century many of the nuts and bolts of it have been worked out. 3D on the other hand poses a whole new set of challenges to overcome and getting the basics right is still mostly art. Sure there’s still an element of art to regular cinema as well (note I’m not talking about the plot or anything that both 3D and regular cinema share) but with such a rich history to draw on it’s a far simpler task to create a certain feel with traditional cinematography than with 3D. Notably whilst you still have depth of field in regular cinema when venturing into 3D it becomes a whole different ball game as you’re manipulating the end user’s DOF rather than just the camera’s. Additionally the use of things that jump out of the screen, whilst a cute reminder that we’re watching 3D, can easily serve to break audiences out of the movie. With 3D being so young all these variables that haven’t got a well defined sweet spot can easily swing a decent movie to a 3D disaster, something which I’m sure we’re all familiar with. Until the industry learns that 3D is a tool with which to enhance story telling and not just something that “has to be done” we’ll continue to see films that incorporate the technology just because they feel they have to. Hopefully the 3D fad won’t last much longer and it will then be left to the experts to define and curate their art which will flow on to future works. Whilst I haven’t changed my mind about getting a 3D TV (it seems I won’t really have a choice soon anyway) I more than likely won’t be buying 3D media for quite some time. Not until the industry and technology matures at least. James Cameron’s Avatar: More Than a Movie. About a week ago I went and saw James Cameron’s return to the big screen in the form of Avatar. I’m the worst when it comes to seeing movies in the theatre but I knew that I needed to see this one in the cinema since everyone I had talked to had urged me to go. Even 2 weeks after its release the cinema I was in (Dendy Canberra) still had every seat occupied. I’d never seen this before, even with the big names like The Matrix and Lord of the Rings, which were packed on the first days but were basically empty a few weeks later. I knew I had made the right decision coming to see Avatar while it was at the movies. Anaglyph (Red/Blue): This was the first kind of 3D to hit cinemas and the technology itself has been around for over 100 years. In essence 2 images are laid over the top of each other with separate colour layers that are separated in order to produce the 3D effect. I saw a couple movies done in this way almost a decade ago when I visited Tokyo Disney land and it definitely provided the feeling that things were jumping out of the screen. Still the image quality suffered somewhat and the colours looked all off, but it’s definitely the cheapest way of doing 3D since you don’t need a new projector to do it. Lens Polarization: A more recent development that has been making its way through cinemas for the past few years is glasses that have different polarizations for each eye. You can tell these ones from the other kinds of 3D because the glasses used look just like regular sunglasses, albeit cheap looking. They come in 2 forms: vertical/horizontal and circular polarization. In the vertical/horizontal glasses one eye is polarized vertically and the other horizontally, meaning that one eye can only see light that is coming at you vertically and the other horizontally. In the circular polarization one eye will only see light that is circling clockwise towards you, the other anticlockwise. If this all sounds confusing it is (I usually do a lot of hand waving explaining this) but the Wikipedia article on it is very good if you’re looking for a better explanation. If you’re wondering what kind of polarized glasses you got there’s a simple trick you can use to find out. Grab your phone or any device with an LCD screen in it. Look through the glasses at it and turn them slowly, does the screen change brightness? If so you have yourself a horizontal/vertical pair, if not circular. This happens because LCDs work by polarizing light coming from behind it and since the glasses are polarized there’s a sweet spot where they’re polarizing in opposite directions, blocking all the light. Polarized glasses like this are also very good at picking out weaknesses in glass, have a look at your car window through them for a hidden rainbow! The better of the 2 of this type of 3D is the circular one, since you can tilt your head and still get the 3D effect. The others rely on you basically staring dead on at the screen, which can be a bit annoying when you’re reaching for the popcorn 😉 These also require a special projector (or more commonly, 2 of them aligned) to project the dual images, but it’s still not the most expensive of the lot. Shutter type: These are the most advanced form of 3D glasses and they’re supposed to be the easiest on the eyes, since there’s no fooling around with the incoming light. In essence you have a pair of glasses that can completely block the light from one eye whilst the other still sees. In order to make sure that the eyes are seeing the right images most of them use a infrared dot somewhere in the movie theater to sync the glasses with the projector. This can be both a blessing and a curse since the cinema I visited only had one infared source which was somewhere to the bottom right of the cinema. This meant I had to aim my head in that direction (I was up the back left) for the whole movie lest I lost the 3D effect. Annoying, but if I had know I would’ve bought seats accordingly. This kind of 3D needs yet another kind of projector, the most expensive of the lot. This is because it has to display one image at a much higher rate than the other technologies, usually greater than 120 times a second. This is about double the rate of normal movies and traditionally would only be done with digital projectors. Up until recently most of them would still be good old film projectors and as such, would need to be replaced in order to provide this kind of 3D. That’s also not mentioning the cost of the glasses, since they’re not the throw-away kind and run about $100 a pop. For a cinema seating 100 people that’s quite an expense, and the ticket price certaintly reflected that. The result? Absolutely stunning 3D. The world of Avatar is an expansive place with many high cliffs and aerial scenes. Without the 3D effect you wouldn’t get that feeling of being really high up, or surrounded by mountains on all sides. Thankfully those “zomg you’re watching 3D” moments are few and far between, with only a few casual occurances happening (like when one of the technicians is rinsing a container and he sprays water towards the camera). Depth of field is something that only recently got adopted into computer games and Avatar makes extensive use of this, with characters who are close up in focus while the background fades out gradually. It really was something to behold. As for the movie itself? A beautiful space opera. Whilst it’s not the hard sci-fi we had been spoiled with this year in the form of District 9 and Moon it still tickled my science side in just the right way. The world is beautiful and the realism imbued in the world is awe inspiring. Granted Cameron takes some liberties with science but they are all in aid of the story, not ignorance of the actual science. I had a good chuckle at the unobtainium reference, although I think I was of 5 in the theatre who got it. Overall I’d highly recommend it to anyone who hasn’t seen it and to not put it off any longer. Because if you do you’ll be waiting a long time before you can get the same experience at home, that is unless you pony up a substantial amount of cash. The reason why I say it’s more than a movie is for the same reason I spent half this post explaining a technology: the 3D. Cameron has been wanting to make this film ever since he saw Star Wars and cursed George Lucas for making the blockbuster he wanted to make. After pulling success from the jaws of defeat with Titanic he was ready to make the film, but the technology was behind. He spent the next 10 years pioneering the latter 2 3D techniques I described, pushing cinemas to install the technology and encouraging other film makers to use it. The result is that today every theatre in the world worth their salt either has polarized or shutter type 3D installed and James Cameron’s name is now cemented in all cinema go-er’s heads. Indeed, and this is why Avatar is more than just a movie. It’s the realisation of a dream, a turning point in visual media and of course, an amazing 3 hour experience.